When writing a curriculum vitae (CV) your objective is to provide details of your professional, academic, and extracurricular achievements. The details will vary slightly depending on your industry as well as your experience. Is a CV right for you? If you’re applying for a job in a country that’s outside the U.S., or you’re in academia or research, a CV may well be the right choice. However, if you’re job searching in the United States and your experience fits on one page, you may be better off writing a resume unless the job advertisement specifically asks for a curriculum vitae. Length: Typically, CVs are at least two pages long, and often much longer. While not every job search expert still believes that resumes should be kept to one page, resumes are typically much briefer than CVs. However, even with more room to stretch out, so to speak, job seekers should be careful only to include information that pertains to the job. Unrelated job titles, experience, and skills will only draw attention away from your more relevant qualifications. Consistency: When formatting your CV, choose a basic font like Times New Roman, Arial, or Calibri, and use it consistently throughout your document. Mixing up fonts won’t look eye-catching and original – it will just confuse the reader and give a less than professional impression. It’s also important to be consistent with formatting choices like bold, italics, caps, etc. If you do some of your headings in bold, you should do all of them. If you choose to italicize job titles or employers, you should do so throughout. Customization: Write a customized CV for each and every job opening. While this may seem like a waste of time, it’s anything but. Sending out a cookie-cutter CV or resume is a good way to get your application tossed. It will be immediately apparent to the hiring manager that you’re trying to land any job, not specifically the job they’re hoping to fill. That’s not a selling point. Accuracy: Make sure you’re scrupulously accurate about dates, job titles, and names of advisors and employers. Proofread your document carefully and make sure that the tenses, names of companies, and formatting are consistent throughout. What Not to Include in a CV: You shouldn’t include your photo or salary history when sending your CV. Send references only upon request, separately from your CV. 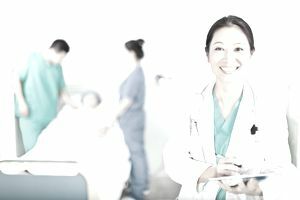 Like many curriculum vitaes, this medical CV example follows a standard format and contains sections for education, certification and licensure, graduate medical training (including internship, residency, and fellowship history), professional experience, publications, honors and awards, and more. This particular example is for a physician with a focus on neurology. This person also teaches in medical school, so her curriculum vitae includes a section describing her teaching experience. Download the medical CV template (compatible with Google Docs and Word Online) or see below for more examples. Assess, diagnose, and treat patients at high-volume neurology office. Honed expertise in the practice of neurological medicine in metropolitan hospital ER. Awarded based on undergraduate academic achievement, leadership, and character. Nominated by department chair based on student surveys. Appleton, J., Smith, W., and Martinez, O. “Preventing Drug Abuse: An Alternative Solution.” American Journal of Medicine 50.2 (2017): 138-59. Appleton, J., Jones, B. “Opioid Addiction and PTSD: An Exploration.” Medical Journal of the West 40.1 (2016): 92-97. “A Different Approach to Treating Opioid Addiction.” Treating Addiction Conference. Pittsburgh, PA, 2018. “PTSD Treatment: Rewiring the Brain.” Anxiety Disorders Symposium. New York, NY 2017.